In a shocking turn of events, a Houston county grand jury has indicted the citizen journalist behind the undercover Planned Parenthood videos, while ignoring evidence of the abortion giant’s crimes against humanity. According to the Harris County indictment, Center for Medical Progress project lead, David Daleiden, and his colleague, Sandra Merritt, face two to 20 years in prison and up to a $10,000 fine. Daleiden received an additional misdemeanor indictment related to an alleged offer to purchase fetal organs. The charges were brought because Daleiden and Merritt allegedly presented fake California driver’s licenses for a meeting with Planned Parenthood in Houston. It is troubling, too, that Harris County prosecutor, Lauren Reeder, is a Planned Parenthood director who sits on the board of an affiliate. Reeder’s connection with Daleiden’s case raises concerns that this conflict of interest is an attempt to silence and smear the Center for Medical Progress and Daleiden’s team of investigators. However, video footage reveals Planned Parenthood’s fetal parts harvesting practices, extreme disrespect for human life, and potential profiteering from the destruction of preborn children. While Planned Parenthood engages in the greatest human rights injustice on the books — the killing of over 320,000 preborn children every year — undercover video evidence obtained by the Center for Medical Progress revealed the abortion giant’s hand in the harvesting of fetal body parts. Many Americans were horrified after a dozen videos released by CMP detailed Planned Parenthood’s gruesome fetal trafficking practices and contempt for human life. In the first video, Planned Parenthood’s senior director of medical services, Dr. Deborah Nucatola, discussed how she perfects her abortion practices in order to supply the demand of quality, salable baby parts. 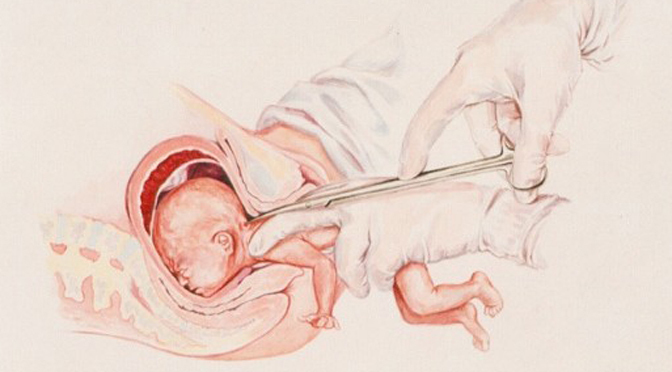 Under federal law, it is illegal for the abortionist to even know that the parts of the child are to be “donated” for research. Subsequent videos released last year show top abortionists indicating how Planned Parenthood, from its corporate leadership down to local abortion facilities, may profit from the procurement of fetal tissue. 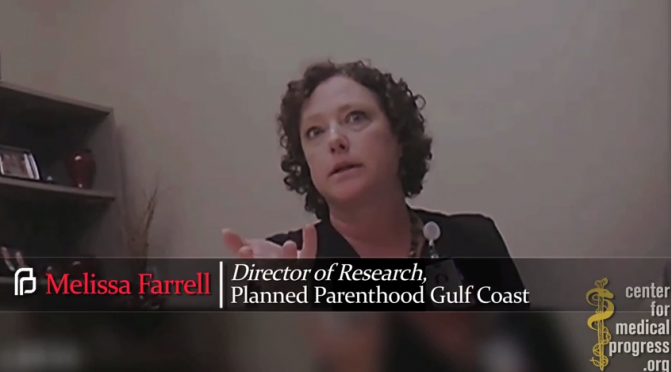 In a video released last year, Planned Parenthood Gulf Coast Director of Research Melissa Farrell— the branch that has been mistakingly cleared of wrongdoing— displayed willingness to obtain “intact,” salable baby parts for profit. “We deviate from our standard in order to do that,” Farrell said. No alteration of the timing, method, or procedures used to terminate the pregnancy was made solely for the purposes of obtaining the tissue. Partial-birth abortion. It’s not a medical term, it doesn’t exist in reality. … [N]umber 1, the Federal Abortion Ban is a law, and laws are up to interpretation. So there are people who interpret it as intent. So if I say on Day 1 I do not intend to do this, what ultimately happens doesn’t matter. Because I didn’t intend to do this on Day 1 so I’m complying with the law. The undercover videos have placed a spotlight on the gruesome nature of Planned Parenthood’s abortion practices and its dehumanization of preborn children. In disturbing undercover footage, abortion facility staffers laugh and callously discuss procuring baby body parts as they sift through the pieces of aborted children. 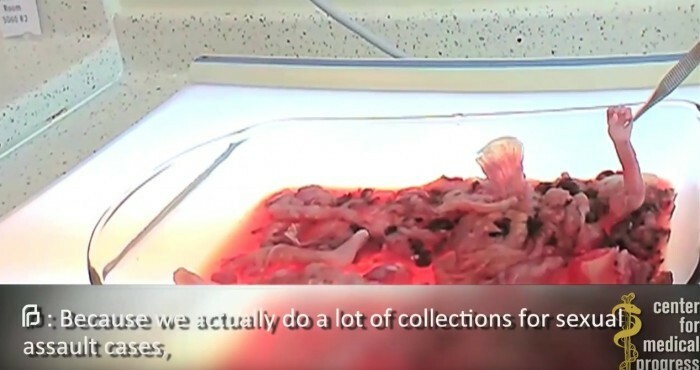 Another disturbing exposé shows Planned Parenthood Gulf Coast staff sorting through the hands, feet, intestines, and eye balls of a 20-week aborted baby, exclaiming, “it was a twin!” A staffer discusses harvesting the “orbits,” or eye balls from aborted children in the same video. While Planned Parenthood has denied that it profits from fetal tissue transactions, the words of its top-level officers contradict its statements to media. In the investigative footage, Dr. Nucatola admits that affiliates are “happy” to “do a little better than break even” regarding reimbursement for tissue procurement. Under federal law, profiting from the sale of fetal tissue is illegal. I think for affiliates…they want to break even. And if they can do a little better than break even, and do so in a way that seems reasonable, they’re happy to do that. In an advertisement, StemExpress, a for-profit company that contracted with Planned Parenthood, promises “financial benefits” for abortion facilities that do business with them. In light of these damning statements, it is imperative that a full and fair criminal investigation of Planned Parenthood be launched. The abortion giant is committing egregious wrongs against humanity, yet it is going after whistle-blowers full force— with the help of its powerful political allies.